The snakc food fryer machine take automatic discharging system that reduce the labor intensity of the workers,to ensure the consistency of the food fried in frying machine time,improve the quality of the product. Industrial Electric Snack Food Fryer Machine Commercial Automatic Discharging The snack food fryer machine is used for commerical industrial, also for small snack food factory. 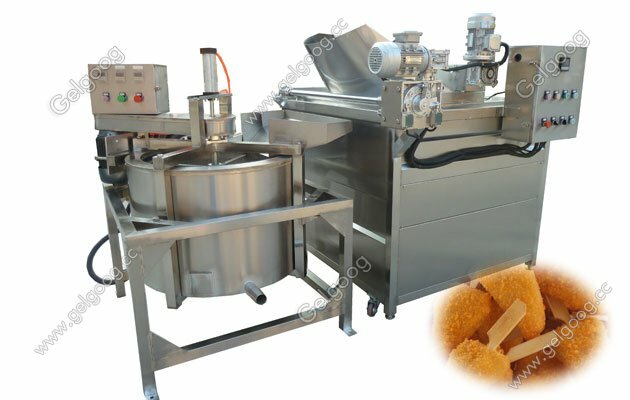 What is more, the snack food frying machine take automatic discharging system that reduce the labor intensity of the workers,to ensure the consistency of the food fried in frying machine time,improve the quality of the product. 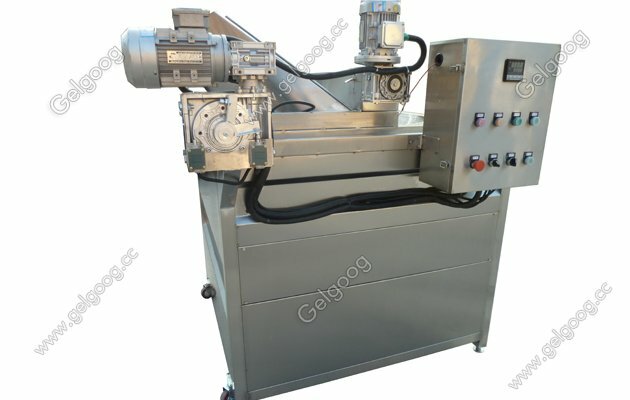 As a proffssional food process manufacturer in china, we provide many types food frying machine. Special sizes can be produced according to customer’s demand.Contact us if you need quotation. 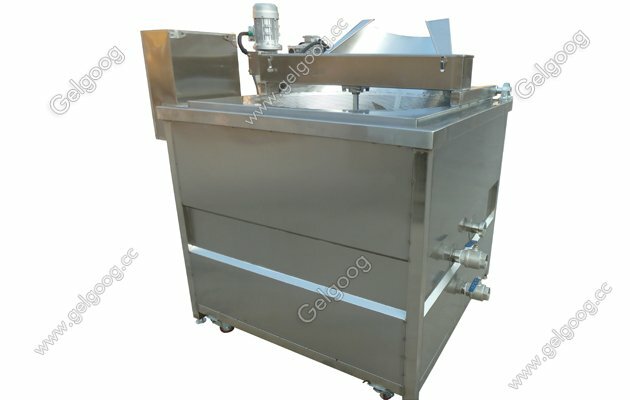 The type frying machine can be used to fry green beans, namkeen,rice cakes, potato chips and a variety of beans and nuts. 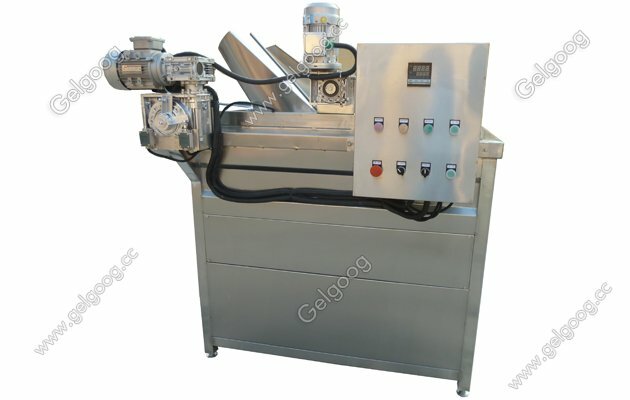 2.The synchronous of revolution and rotation mixing way, ensures the uniformity of the food Fried, in case of food stick together, because of extrusion, mixing system makes the frequency conversion. 3. The machine can be made to be gas heating and electric heating. For gas heating type, it needs to add the burner and the gas pipe. Thus the cost and the size of gas model will be bigger. 4. It has the functions of frying, absorbing and conveying compact structure. 5. PLC centrally controls the high automation of the frying process. 6. The advanced temperature control device and reasonable mixing device guarantee the best frying quality. 7. The heat supply of diesel or gas cooker makes the temperature rise or fall, and low power consumption and high efficiency. 8. Two control modes, manual and automatic, make the operation flexible. 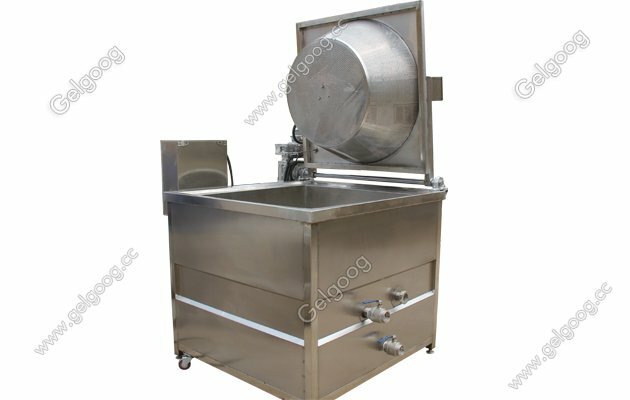 9, The stirring function can help you to stir the frying material well, especially for the floating material, such as vegetable and fruit chips, the stirrer can press them into oil by the rotary of shaft and flap valve, labour-saving and get beautiful fried food. The stirrer can rotary all around the pan. 10, The discharging parts are designed into groove model to help the material to feed out smoothly and correctly. 11, Operation buttons, we will put it in your language as you want, convenient for operating.